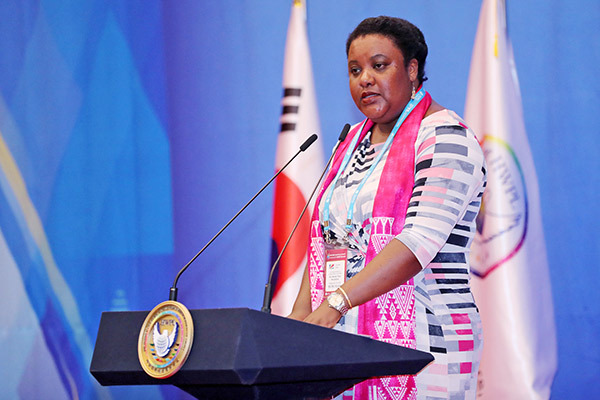 Last month during the 29th World Peace Tour of HWPL, eSwatini and Seychelles became the first two countries to present the National Solidarity Statement for the Promotion of the DPCW which officially expresses their support at the national level. The National Solidarity Statement is a national document signed by heads of state and submitted to the United Nations. This document will be distributed and publicized within the UN and will be a great help to get the 10 articles and 38 clauses of the DPCW passed at the UN General Assembly. 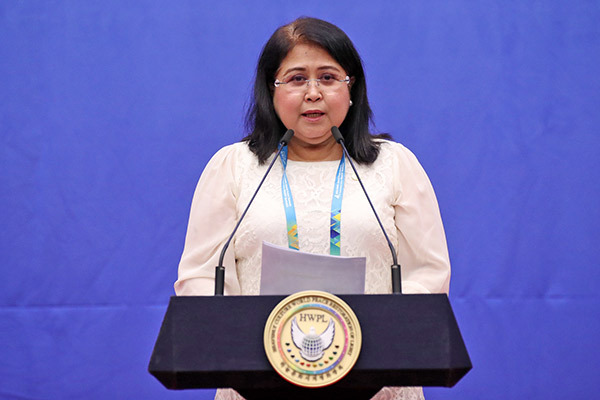 The governments’ official proclamation of its national support means that it has brought the DPCW one step closer to being realized as an international policy. 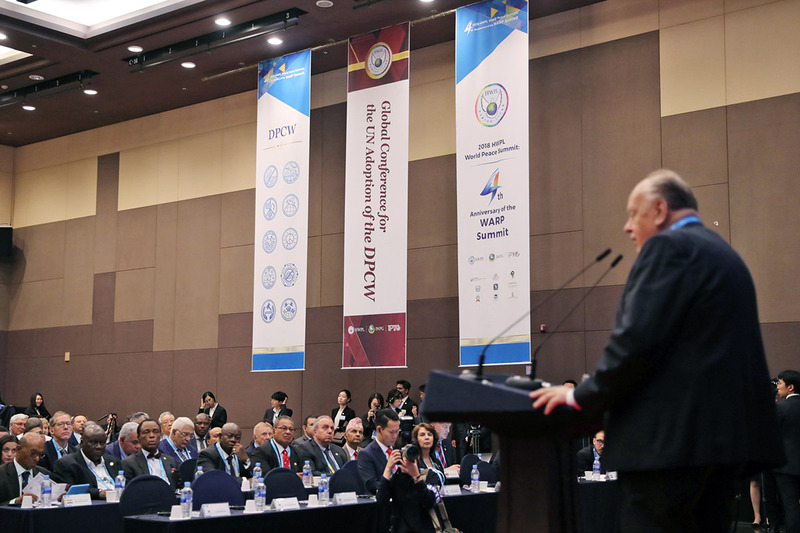 Following this trend, political figures, including former military heads, lawmakers and Supreme Court justices, who attended the '2018 HWPL World Peace Summit: 4th Anniversary of the WARP Summit’ in Incheon held a 'Global Conference for the UN Adoption of the DPCW’ on September 17th. Participants discussed how to receive 'Expanding Support for the DPCW at the National Level' through active discussion. 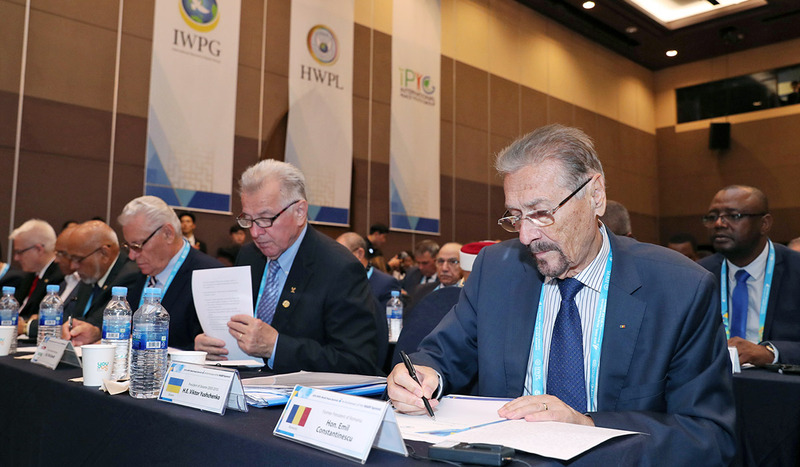 What effort does the DPCW need to gain support from countries around the world? H.E. 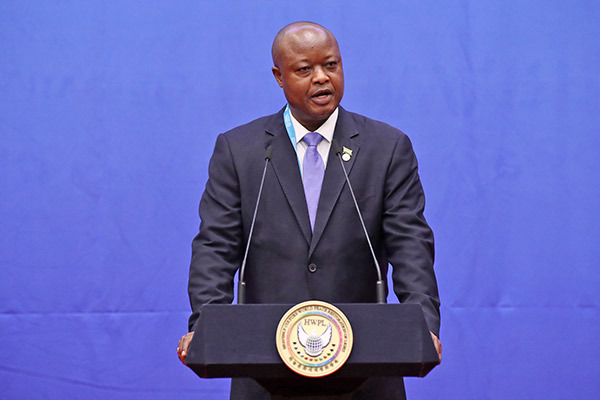 Samuel Sam-Sumana, Former Vice President of the Republic of Sierra Leone, explained that after World War II and the establishment of the UN, the world continued to experience terrible conflicts and even massacres. 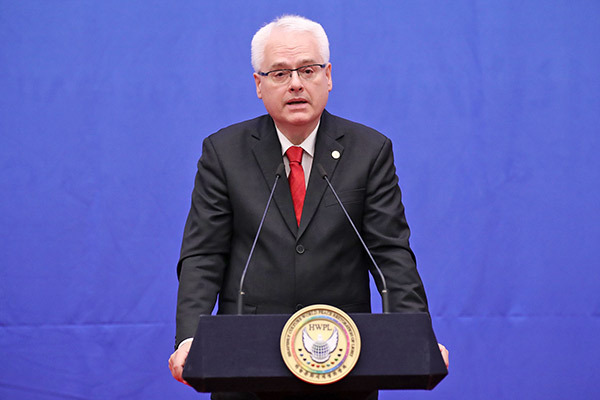 The UN Security Council does not have a role for national leaders alone, but rather the role of the people, or civil society, is also very important. Citizens, youth and women's organizations should also support the DPCW to help national leaders implement this declaration and advocate its adoption in the UN. Young people also took part in the meeting. Youth members read the "Peace Letter" to urge national leaders to realize peace through the DPCW and delivered it directly to around 200 leaders from each country that were in attendance. We expect even more progress to be made towards achieving peace with the DPCW in the future, based on this meeting, as national leaders and civil society unite as one.